Hair replacement for men has been a popular topic for many years. Any man who has faced his receding hairline in the mirror or watched as more and more hair appeared on his comb knows the frustration and embarrassment hair loss can bring. In most cases, the cause of hair loss for men is hereditary male pattern baldness. This type of baldness typically begins at each temple and eventually extends back over the top of the head. Unfortunately, right now there’s no tried-and-true cure for male pattern baldness, and, for men who suffer from hair loss, the options are limited, expensive, and sometimes even invasive and painful. Those options that are affordable are often substandard or unnatural-looking, and end up expensive to maintain in the long run. Fortunately, some companies have developed custom hair loss alternatives that are affordable, completely painless, easy to maintain, and looks totally natural. Hair Replacement Companies all the same? Don't simply settle for the closest hair replacement company, take your time to search for one that will give you the best hair replacement system and best price. Make sure they only use the finest quality materials and the finest quality hair. You want a look that’s realistic and easy to maintain. Get a hair system that is customized to exactly fit the needs of our clients. Best of all that is affordable on nearly any budget. Not all Hair Replacement systems use the same quality hair. Some of the best systems use European hair For more affordable hair systems, you can use exceptional quality virgin remy hair. Remy hair is the highest quality human hair available for hairpieces and hair extensions. In lower-quality non-remy human hair, the hair cuticles are stripped. Remy hair cuticles remain intact, which preserves them and helps the hair stay aligned in a single direction, much like naturally growing hair. Not only does virgin remy hair have a completely natural appearance, but it’s soft, shiny, silky and tangle-free. Some shops offer more than just hair replacement systems for men, but also the finest quality in human hair wigs, including full lace wigs and full caps for women and cancer survivors. 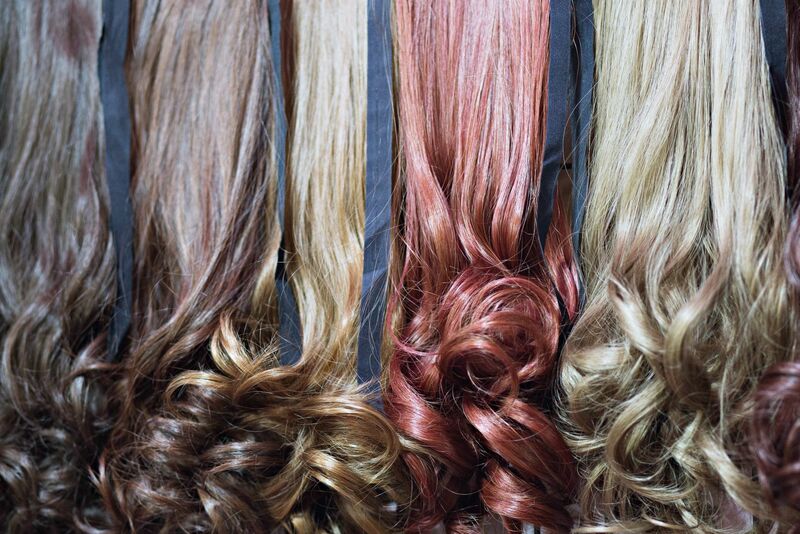 For women looking for fuller, thicker or longer hair, search for superior quality hair extensions.